2019: 1 race 50,000 metres completed. 2018: 1 race 50,000 metres completed. 2016: 5 races 77,500 metres completed. 2015: 2 races 70,000 metres completed. 2014: 2 races 68,090 metres completed. 2013: 15 races 186,090 metres completed. 2012: 8 races 341,253 metres completed. 2011: 19 races 289,384 metres completed. 2010: 7 races 56,263 metres completed. 2009: 9 races 39,000 metres completed. 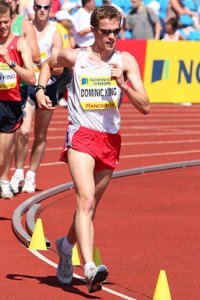 2008: 8 races 133,000 metres completed. 2007: 15 races 87,045 metres completed. 2006: 13 races 77,000 metres completed. 2005: 16 races 123,045 metres completed. 2004: 1 race 20,000 metres completed. 2002: 3 races 40,000 metres completed.